Today I decided to dress a little warmer as I did not want to be tricked by the weather forecast again. I decided to wear something a little more covered. 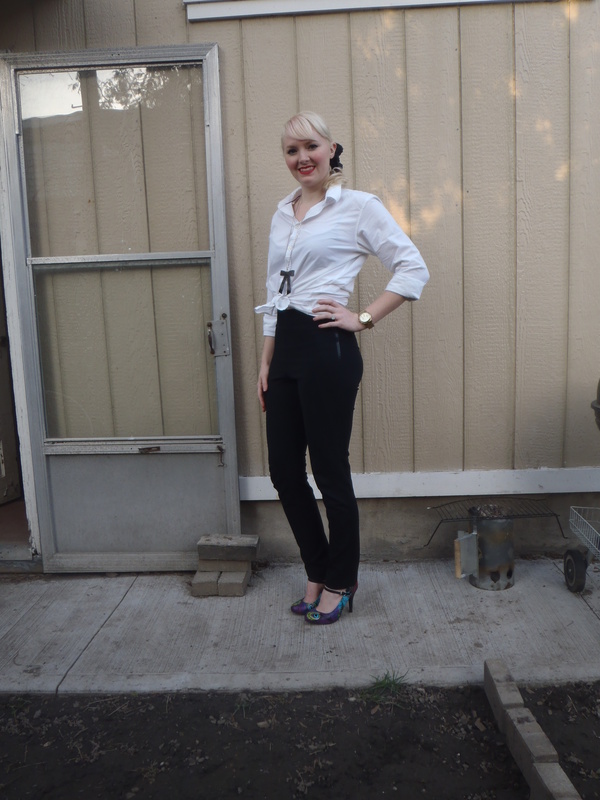 I decided to wear on of Claudes dress shirts, paired with my high waisted leggings, and my favorite peacock shoes. Dont mind my back yard we are currently planting grass. I tried setting up my tripod in the front yard and people were staring at me and laughing. I decided to take my tripod to the back yard. It will be pretty soon. Im wearing T.U.K shoes, Lida Baday leggings, Junk De Luxe Shirt. Posted in Fashion and tagged A Second Life, ascndlife, Junk de Luxe, Junk de Luxe shirt, Lida Baday, Lida Baday leggings, T.U.K, T.U.K shoes. Bookmark the permalink.